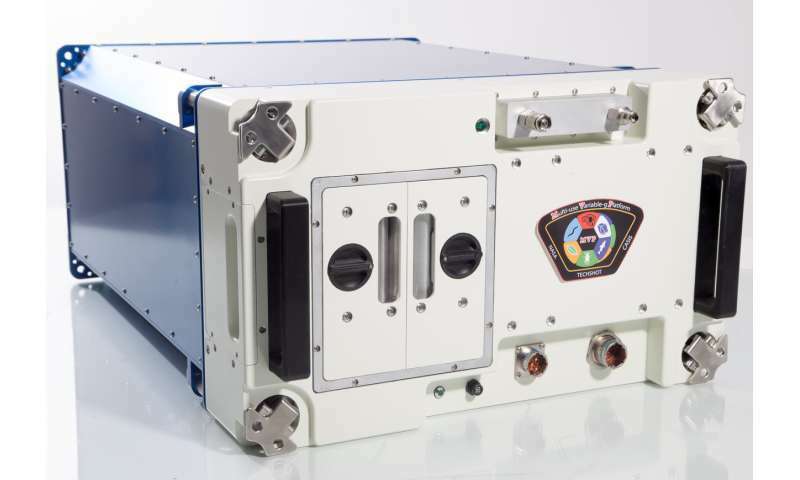 Delivered to the International Space Station aboard SpaceX CRS-14, the Multi-use Variable-g Platform (MVP) is a new commercial testbed for centrifuge-based science aboard the orbiting laboratory. Because gravity determines so much of a live organism's behavior and growth, centrifuge-based experiments have long been a part of biological investigations in space. While the pull of Earth's gravity makes this type of investigation difficult at home, the space station's microgravity environment makes it the perfect place for fractional gravity experimentation. MVP greatly expands that testing capability for the space station. "This is a permanent, commercially owned research facility that gives researchers the opportunity to study the effects of gravity and partial gravity on living organisms, and, hopefully, by extrapolation to humans," said Rich Boling of Techshot, the company responsible for MVP's design and build. What makes the facility so special is its size and capability. 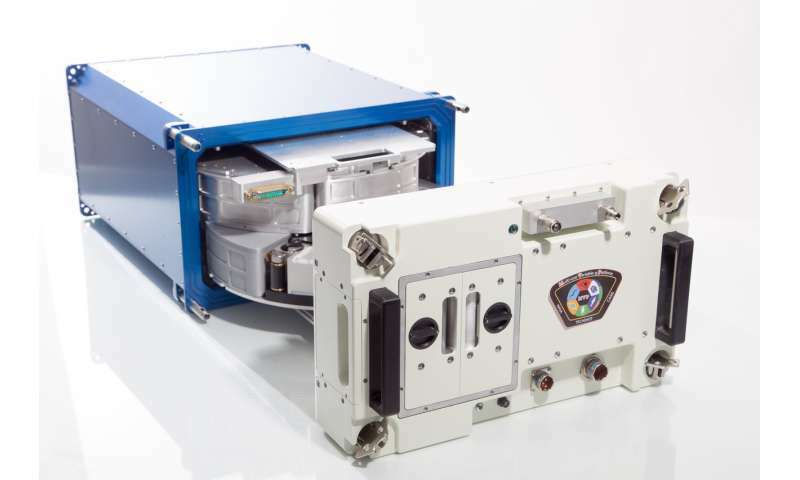 Containing two carousels that spin quickly to simulate up to two times the force of gravity, the platform is the largest centrifuge in the U.S. segment of the space station and allows investigators more room for, and control over, their research. 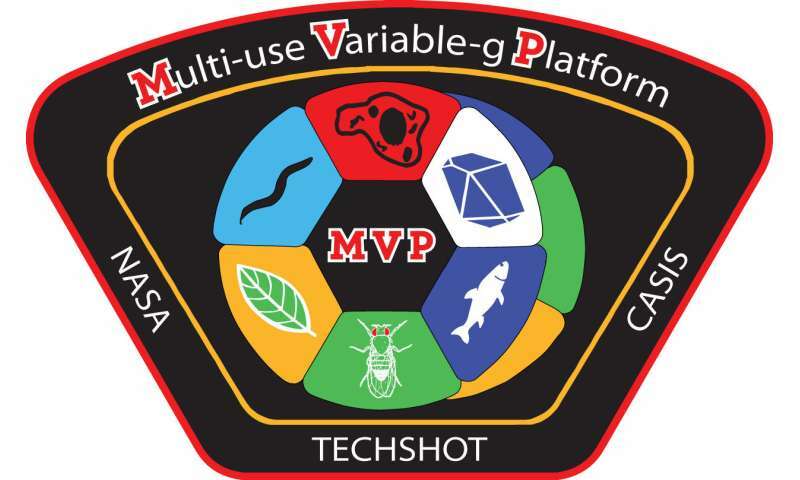 With room for six experiment modules on each carousel, Techshot can fly up to 12 separate modules on MVP at a time. Each module is equipped with temperature sensors, and the box that houses the carousels and modules can be set to the exact environmental specifications requested for any investigation. This degree of control and precision makes for better science and clearer data. But before the real science can begin it must undergo hardware validation. Validation testing of the facility uses Drosophila (fruit flies) to verify environmental controls and check MVP's overall performance. For MVP's hardware validation run, one carousel will stay stationary to allow scientists to collect a baseline of behavior in microgravity. The other carousel will spin at the normal force of gravity on Earth (1 g) as control group. In addition to validating the controls and operability of MVP, this initial investigation - known as MVP-Fly-01 - will provide science data for researchers at NASA's Ames Research Center. MVP is especially exciting for fruit fly research because it can host larger samples for multiple generations. This initial study will look at biological issues common between humans and fruit flies. The investigation concluded in late April, and the modules were removed from MVP and returned to Earth aboard the same Dragon that delivered them to space. During the run, testing was monitored and controlled from Techshot's own Payload Operations Control Center in Greenville, Indiana. Much like NASA's own Mission Control Center at the agency's Johnson Space Center, the Payload Operations Control Center allows the team at Techshot to talk to, adjust, and pull data from their hardware. A live video link also allows the team to monitor crew interactions with the equipment. Asked what kinds of investigations the platform could host, Boling said, "It's really whatever investigators could dream up that they want to put inside of these experiment modules. Each one empty is about 800ccs of volume. So whatever a research team wants for that volume, we can make it happen, get it up there, and get it back. For example, we have a tissue chip investigation coming up this year for a team at the Massachusetts Institute of Technology." MVP greatly expands commercial and research opportunities in low-Earth orbit. Several investigations are already lined up for the platform, and customers include government, academic and commercially-based teams. Says Boling of working with NASA, "The payload that eventually became MVP started out as a Small Business Innovative Research proposal." After seven years and several phases of development, investment, and product improvement, Techshot was able to secure six research campaigns to get MVP started. These campaigns include research from industry, academia, and two additional investigations for Ames in 2019. "We love working with the investigators," said Boling. "This isn't our science, but we are the tool that allows scientists to do research that hasn't been done before or ask questions that haven't been proposed. The future is bright for MVP, and research gleaned from its upcoming missions will hold benefits for both future missions beyond low-Earth orbit and science back here at home. This investigation is sponsored for the station's U.S. National Laboratory, which the Center for the Advancement of Science in Space (CASIS) manages.